For the launch of their limited edition, premium spirit, Belvedere Vodka partnered with Nigerian born, UK based visual artist, Laolu Sebanjo who put his signature white design touches on the bottles. The event took place at The Whitney Museum Of American Art a few days ago in New York City with models walking the runway with designs of Laolu’s art on their bodies. 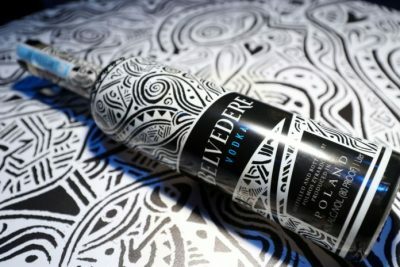 According to Belvedere Vodka, the newly designed bottles will support the global fund to Eliminate HIV/AIDS in Africa.